Many investors and commentators seem to think so. 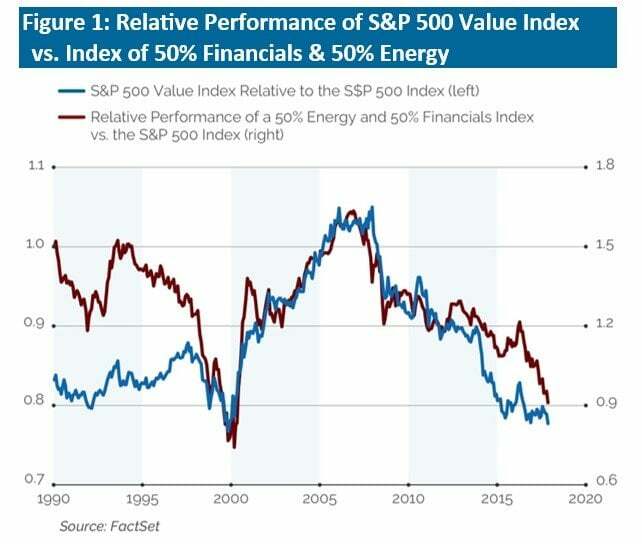 The performance of value strategies that employ traditional metrics like price-to-book (P/B) or price-to-earnings (P/E) would seem to corroborate this thinking. But amid the discussion of value’s eroded efficacy, there is little offered to explain why paying less for something suddenly no longer works. Human behavior has not changed and investing biases, like overpaying for lottery stocks, are alive and well. We think the issue is not that value investing has ceased to work, but that traditional definitions of value are no longer applicable. Over the past several decades, companies in the developed world have shifted their investment spending from physical to more intangible assets like research and development. In 1960, the largest companies in the S&P 500 Index generally required large manufacturing footprints and investments in physical infrastructure to produce tangible products. Today, by contrast, the top companies mostly provide services or products that are differentiated by their design and innovation and are backed by significant research and development and intellectual property (See Table 1). This economic evolution matters because asset and income-based measures of valuation tend to punish asset-light “new economy” companies. A major reason for this is that such companies spend heavily on research and development, which is expensed as incurred, and is not counted as an asset. Companies that spend comparatively more on capital expenditures, by contrast, can look very different on an accounting basis since these expenses are capitalized on a balance sheet and then expensed slowly over time via depreciation charges. This means that the net income of an R&D-intensive company will be depressed relative to a company that spends more on capital expenditures, and the R&D-focused company will also have significantly less in the way of accounting assets and equity value. Consequently, measures of valuation based on price-to-book value (P/B) or price-to-earnings (P/E) ratios will not be very meaningful or comparable between these two different types of companies. This also means that value-based indexes that rely on traditional metrics like P/B may no longer represent companies that are truly less expensive. Instead, they may inadvertently be selecting companies that simply have more in the way of traditional accounting assets. Looking at an example of a specific company, Apple has very little in the way of traditional book value given its R&D-intensity and the accounting treatment of such activities. Apple’s current P/B of 9.0 looks extremely elevated versus to the S&P 500 Value Index’s P/B of 2.15. But despite its relatively small book value, Apple generates substantial free cash flow such that its trailing free cash flow yield to enterprise value (FCF/EV) is around 7.5%. In order for Apple to look attractive on the basis of P/B and to trade in line with the S&P 500 Value Index’s 2.15, Apple would need to trade at a FCF/EV yield of around 60%. Said differently, for the biggest market capitalization company in the world to look similarly valued to the S&P 500 Value Index on the main measure most “value” indexes use, it would need to be priced such that the free cash flow the company generates could be used to retire all of its debt and take itself private in the span of only about 1.5 years! We wish those opportunities existed. 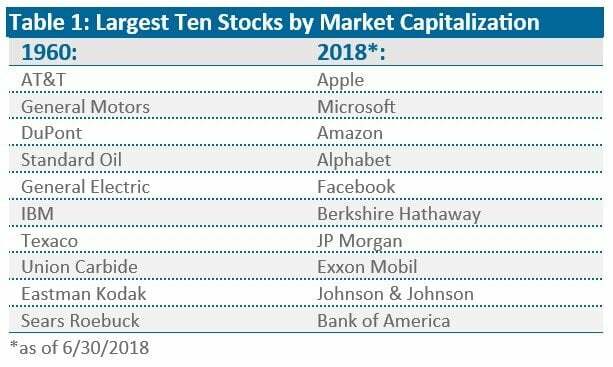 The Apple example highlights how traditional, accounting-based valuation metrics have struggled to keep pace in a modernizing world. Alternative, cash-flow-based measures, by contrast, can circumvent these accounting distortions and offer a truer picture of value. On such measures, value seems to be performing quite well. Author: Matt SwansonMatthew Swanson, CFA is a Cofounder of Distillate Capital. Matt previously worked for 18 years as a portfolio manager of U.S. and international value strategies, and as an equity analyst covering the healthcare industry at Institutional Capital, LLC (ICAP), a Chicago-based value investment firm. Matt has a BA in Economics from Northwestern University and an MBA from The Kellogg School of Management, Northwestern University.